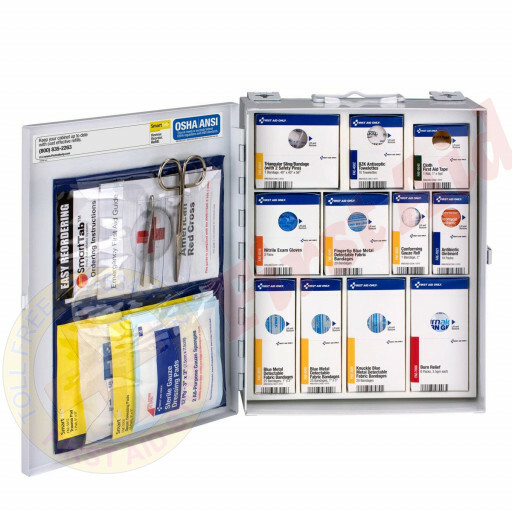 We offer the OSHA SmartCompliance™ Food Service First Aid Cabinet at First Aid Store™ - OSHA Restaurant Compliance ... 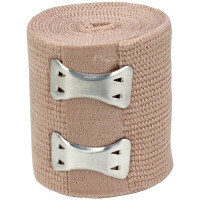 Simply Revolutionary. 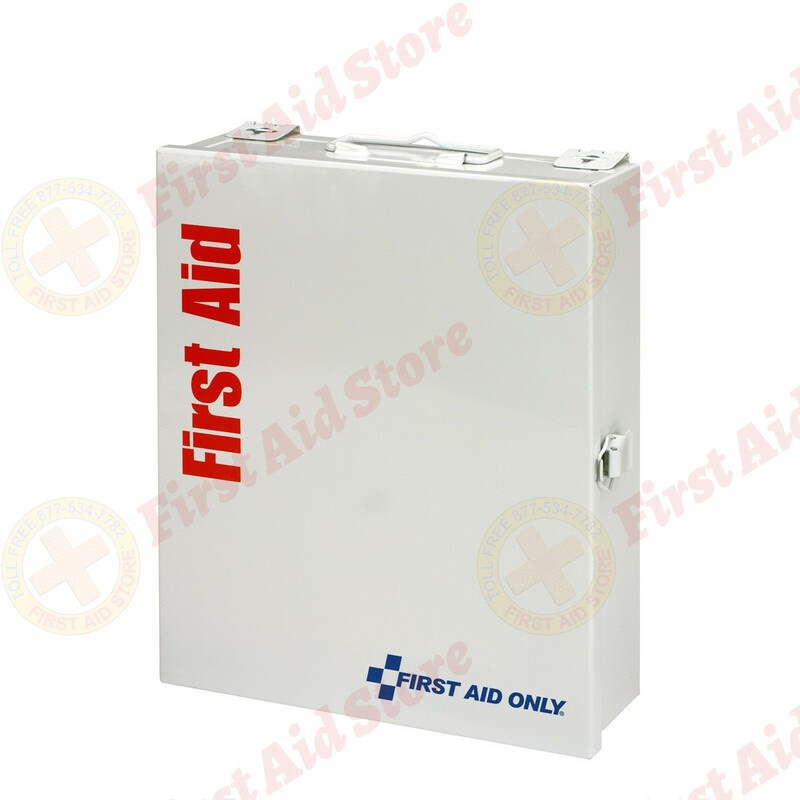 This general industry fully stocked, wall-mountable first aid cabinet meets the requirements for first aid established by OSHA. The replenishment options are tailored to meet your needs, along with on going monitoring of regulatory changes that impact first aid cabinet requirements in your workplace. 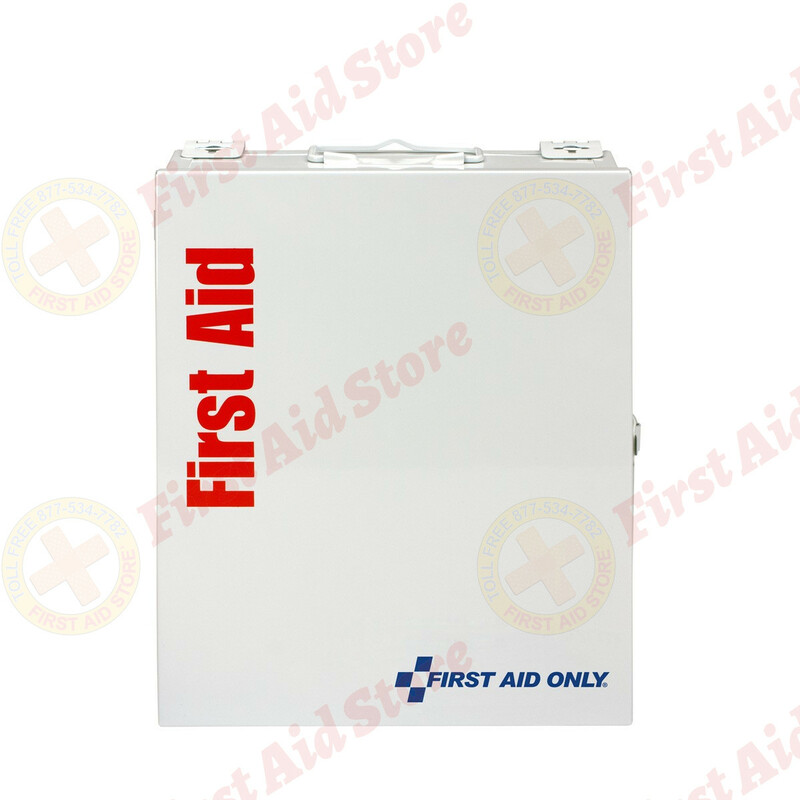 When you purchase this OSHA compliant first aid cabinet you receive automatic, no-cost update of items affected by OSHA regulatory changes. Also, ordering refills is as easy as 1-2-3. Order online, by fax, phone, or mail - you get to choose. "At-a-glance" monitoring tells you when it is time to reorder. 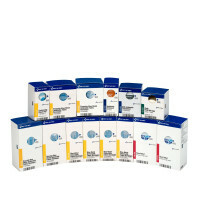 "Snap-in" refill boxes makes restocking easy. 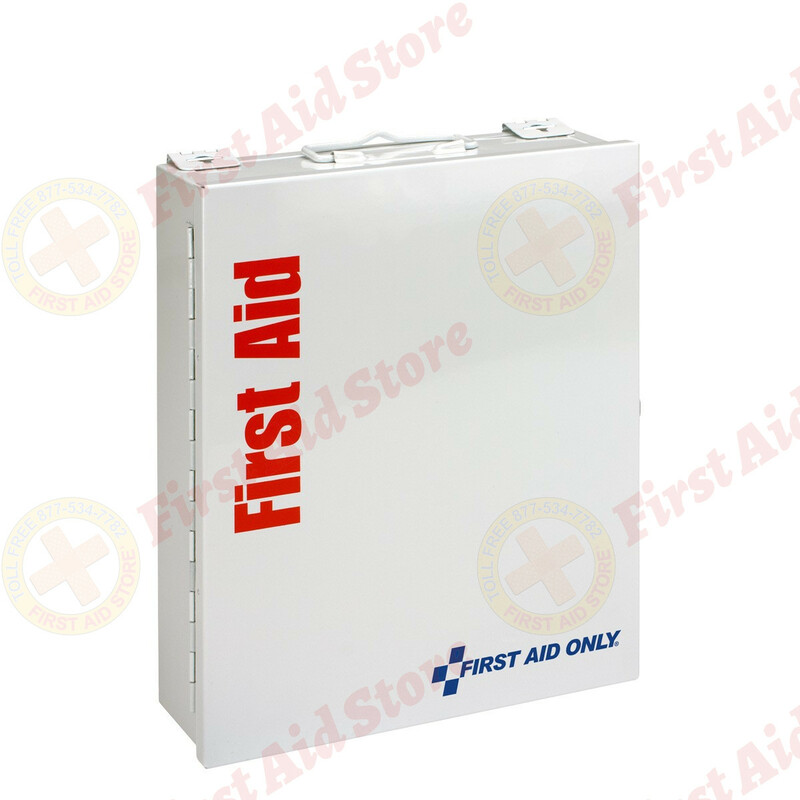 The First Aid Only® OSHA SmartCompliance™ Food Service First Aid Cabinet.